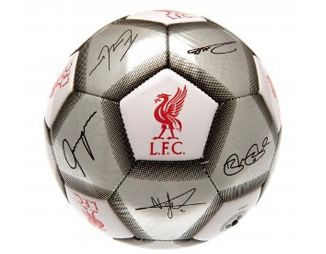 This official Liverpool football features the signatures of the current 2018-19 squad. A 32 panel size 5 ball in a striking metallic silver finish. Suitable for use on artificial turf or grass, our best-selling product is available from stock.